Lake Havasu Agent Fees: How Much and Who Pays? Real estate transactions come with several fees attached. For Buyers, the biggest chunk comes in the form of a down payment. Then, there's closing costs involved such as loan origination fees, title fees, underwriting, insurance, etc. 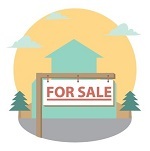 Sellers must pay transfer of ownership fees, a home warranty for the Buyer, taxes, etc. Sometimes, they pay the Buyer's closing costs. 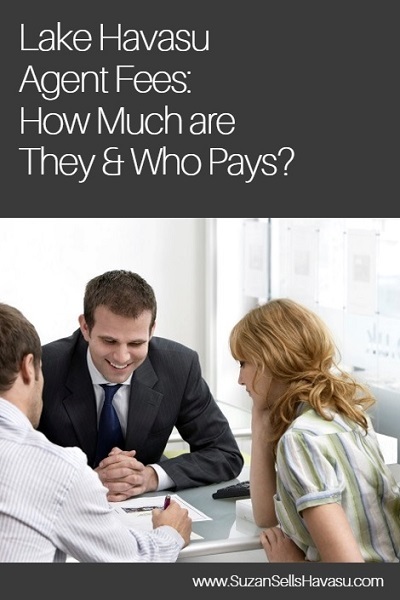 But when it comes to Lake Havasu agent fees, how much are they and who pays for them? Usually, the Seller pays the Lake Havasu agent fees on a transaction. They run around 6% of the sale price. This gets paid at closing. While Sellers technically pay the fee (unless some other arrangement is made), that cost gets incorporated into the sale price. So, you could say the Buyer actually pays the agent's fees. What's Included in Lake Havasu Agent Fees? For Sellers, your Lake Havasu agent fees typically include any photographs taken and sales materials (flyers, signs, etc.) as well as your agent's time and services for open houses, showings, etc. However, things like professional staging and any repair work must come out of the Seller's own pocket. These fees may be negotiable but must be stated in the listing agreement. In fact, everything should be well defined within the contract you sign with your agent. Feel free to ask any questions that may arise before you sign anything. You want to be clear about what is expected before you put pen to paper. Do you find yourself to be only one of many offers when buying a particular Lake Havasu home? Stand out from the others by offering to pay some of the agent fees for the Seller. Even if it's a little lower than the highest bid, your offer could be much more attractive to the Seller. Talk to your agent to see if this is the right scenario for you to pursue. Whether you are buying or selling, a real estate transaction costs money. When it comes to Lake Havasu agent fees, the responsibility usually lies on the Seller's shoulders. Contact me with any questions you may have about buying or selling your Lake Havasu home.